The 80 Percent 1911 market is in full-swing. An 80 Percent 1911 frame is the starting point for a custom 1911 build. Since an 80 Percent 1911 frame is, as the name indicates, 80% frame complete, purchasing one does not require an FFL. 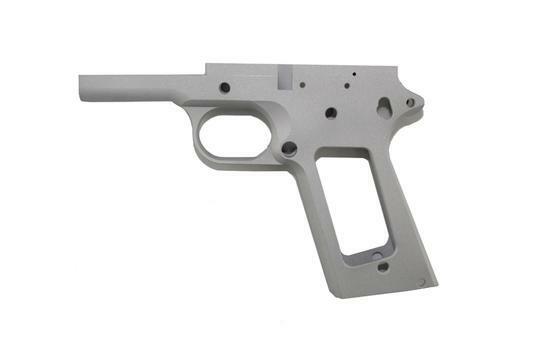 A 1911 80% frame is not considered a firearm by the ATF until you (the builder) begin to complete the frame. 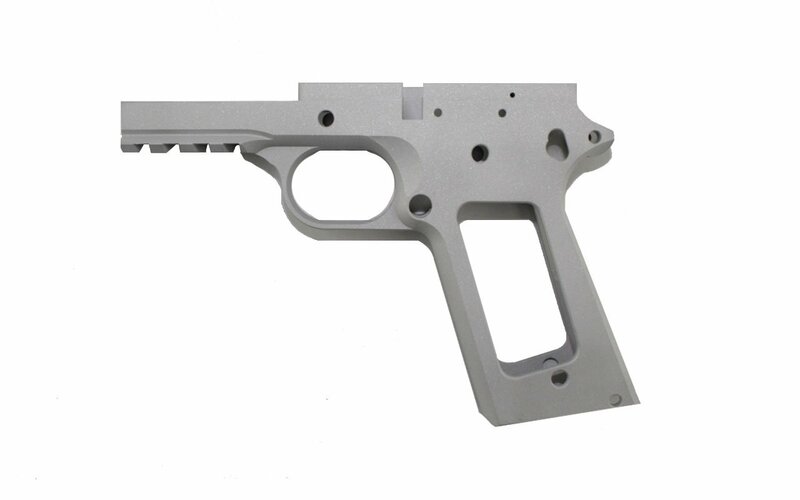 Our 80 Percent 1911 frames are made from 7075, heat-treated aluminum making them a really lightweight option for builders. Aluminum 1911 frames are 60% lighter than steel frames and much, much easier to complete. They will save you a lot of time and frustration. 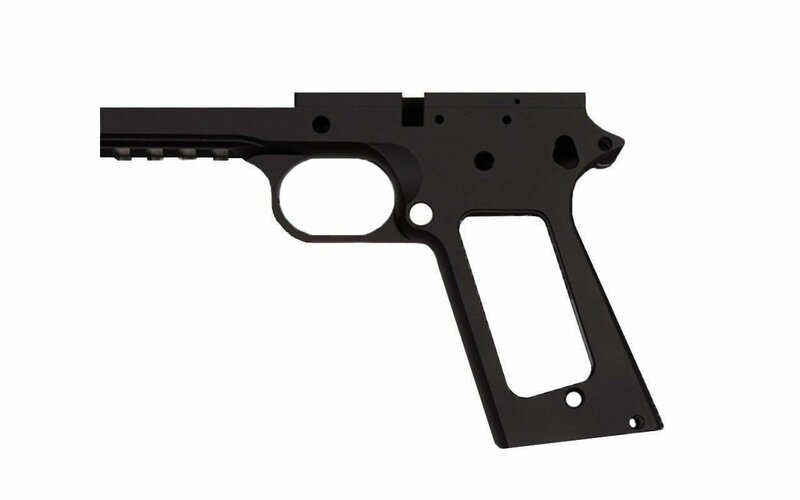 An 80 Percent 1911 frame is completed with the assistance of a 1911 jig. 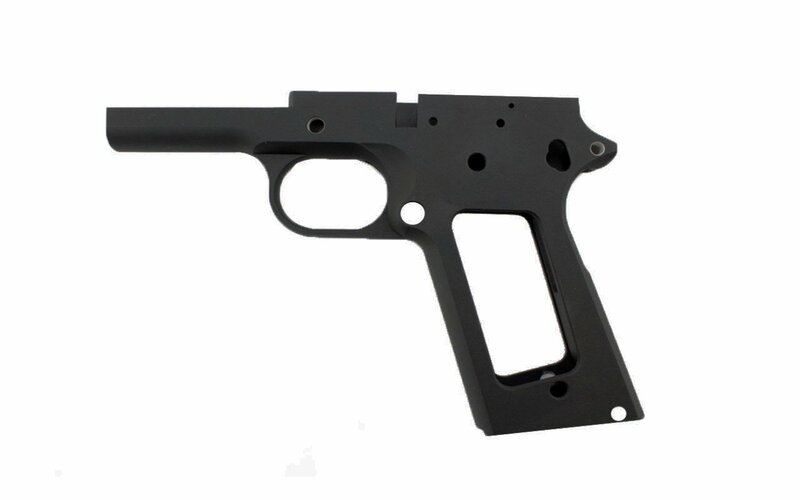 The 1911 jig is built around the frame and has cut-outs to guide the builder with the holes required to drill and complete the 80% frame.